Hi valued readers, I am on my summer vacation right now. So, please bear with seasaltwithfood as recipe postings will undoubtedly be a bit irregular over the next 2 months. Having said that, I will certainly try to update my blog with new recipes as and when I get the opportunity. Have a great summer everyone! This is a delicious Whipped Cream Cake recipe that I had adapted from the Rose’s Heavenly Cakes baking book by Rose Levy Beranbaum. 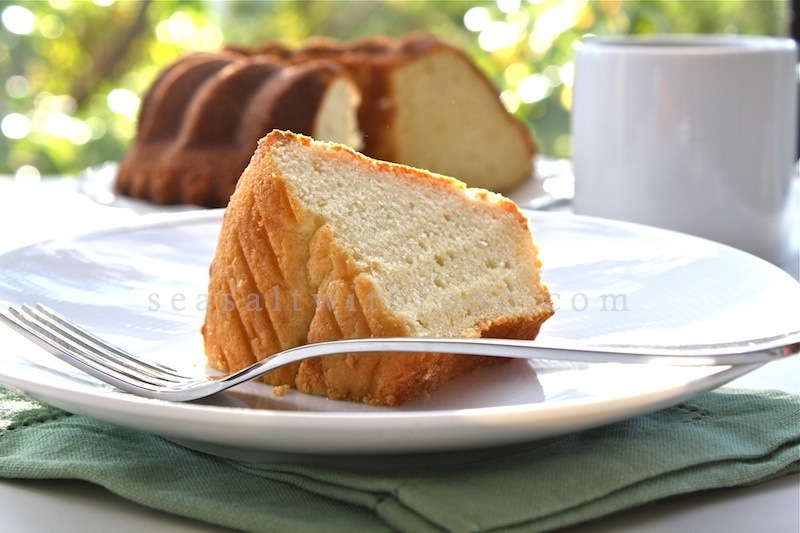 Like all the cakes and desserts that I love, this cake is very light and it’s the perfect complement with a fresh cuppa coffee or tea. Enjoy! Preheat the oven to 375˚F/190˚C. Coat a 10-cup fluted metal tube pan with baking spray and flour. Shake off the excess flour. In a medium bowl, whisk together the cake flour, baking powder, and sea salt. Using a stand mixer fitted with the whisk batter, whip the cream, starting on low speed, gradually raising the speed to medium-high as it thickens, until stiff peaks form. In another bowl, whisk the eggs and vanilla until just combined. On medium-high speed, gradually beat the egg mixture into the whipped cream. The mixture will thicken into mayonnaise consistency. Gradually beat in the sugar. It should take about 30 seconds to incorporate it. Then add half the flour mixture into the cream and, with a large spatula, stir and fold in the flour until most of it disappears. Add the rest of the flour and continue folding and mixing until all traces of flour have disappeared. Scrape the batter into the prepared pan. Run a small metal spatula through the batter to prevent large air bubbles, avoiding the bottom of the pan. Smooth the surface evenly. Bake the cake for about 30 to 35 minutes, or until a wooden toothpick inserted between the tube and the side comes out clean. 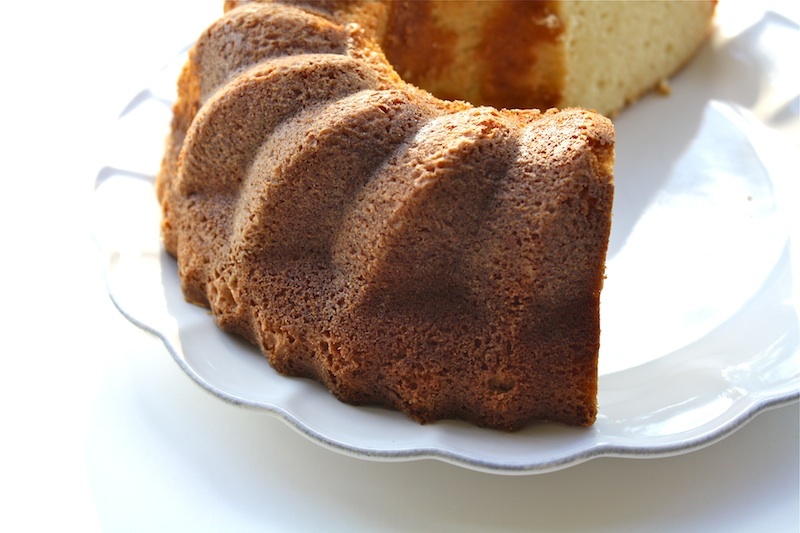 Let the cake cool in the pan on a wire rack for 10 minutes. With a small metal spatula, loosen the top edges of the cake and invert the cake onto a wire rack that has been coated lightly with nonstick cooking spray. Cool completely. Lightly dust the cake with icing sugar, if desired. Yum, whipped cream cake! I bet it's so fluffy and light. Hi Angie, This looks like the kind of simple cake that would I absolutely love. Have a great vacay. Happy summer! 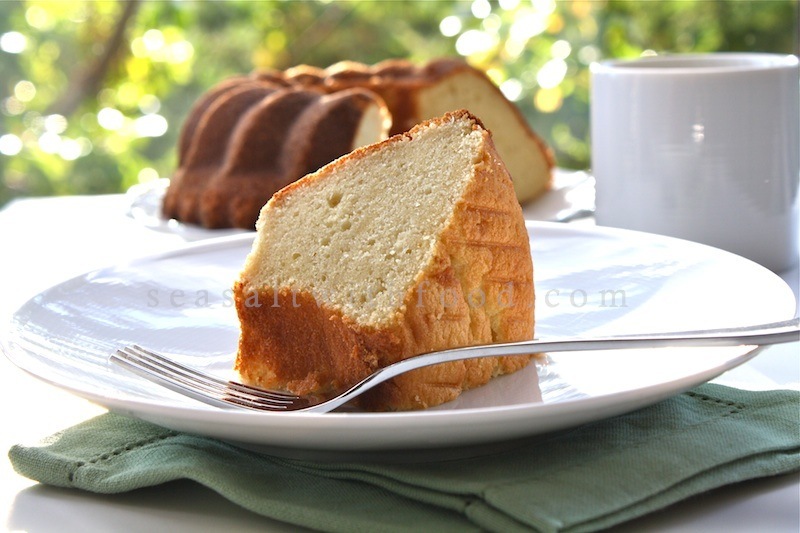 This cake looks wonderful, so light and moist!! I remember this cake from Rose’s book! Simply wonderful. Hi Angie, I found your page when i was searching for sambal sotong recipe. I would like to ask for your permission to link your page to mine. Thank you. Have a great holiday! What a coincidence! I just met Rose yesterday and got my books signed by her! She's amazing! This is one of my favorite cakes from Rose's new book. Your photos are stunning!! This cake is beautiful and sounds so perfect and delicious. Thanks for sharing! Beautiful...recipe sounds & looks Delicious!!!! Well, I actually made this cake the other day, the salt is a perfect addition and I would recommend this recipe to friends. Definately one of my favourites.